The Agence Bruxelloise pour l’Accompagnement de l’Entreprise [Brussels Business Support Agency] is offering free-of-charge a range of solutions and advice for start-ups and scale-ups in Brussels and beyond, as well as services focussing on strategy, finance, clustering and internationalisation. 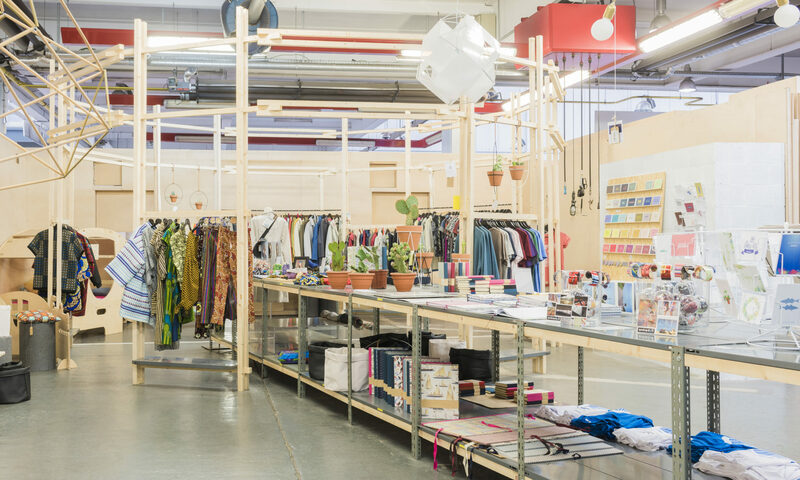 Kanal Store is the result of a collaboration between hub.brussels and the Kanal Foundation. Villa Eugénie, through its expertise and sensitivity, has won the trust and loyalty of the world of luxury, fashion and creation, for which it organizes some of the most renowned events. Its clients are key players in contemporary culture. Kanal Store has benefited from Villa Eugénie’s know-how in its design, it has made available to the awning materials that have been used for its layout.